Multimediatrain is produced by a small team of three working multimedia journalists and multimedia lecturers, DJ Clark, Peter Carney and Sharron Lovell. We can’t wait to hear from you! Here at Multlimediatrain we plan to continue to develop and add content in coming months, so we’d love to hear your feedback and suggestions for future improvements. Our team also delivers tailored training sessions and workshops for journalists and communication teams so please be in touch for training solutions. D J Clark is a multimedia journalist with a specialism in photography and video production. He has over 25 years experience working with media organisations across the world as a video producer, photojournalist, presenter, writer, trainer and multimedia consultant. He is multimedia director at China Daily Asia, video advisor to Asia News Network and a contributing video producer to The Economist. He also teaches on the University of Bolton MA International Multimedia Journalism and at the Asia Center for Journalism, is a regular tutor for World Press Photo & the British Council and is a host of the Multimedia Week Podcast. Peter is a passionate visual educator and currently runs photography workshops at the Culture Yard in Beijing and has also taught a course in Multimedia Journalism at Beijing Foreign Studies University. Peter was also part of a World Press Photo project putting together together a comprehensive series of multimedia journalism training videos for the website Shutha.org which aims to train journalists in Africa. 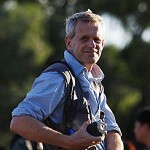 Peter is a graduate of the internationally acclaimed MA in Photojournalism and documentary Photography course from the University of Bolton and has worked documenting Blind Professionals in China and is currently working on several documentary projects covering football in China, cycling in Beijing and also the hutongs of Beijing. Peter’s work has been exhibited internationally and published in several major publications including, The Times, The Independent on Sunday, The Korean Times, China Daily and GEO Italy. Peter has worked with international clients such as Intel, Kappa, and Vertu Mobile Phones as well as NGO’s like the Red Cross China and the Beijing Cultural Heritage Protection Centre. 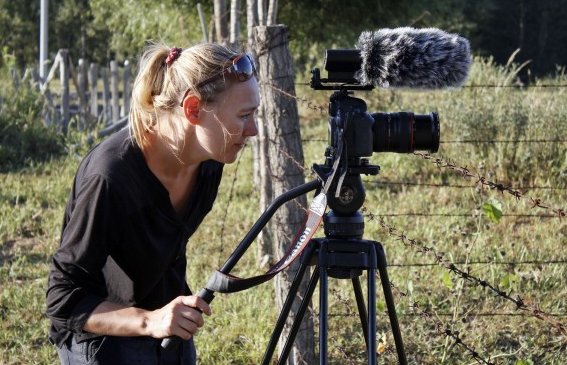 Sharron Lovell is an award-winning, internationally published, multimedia journalist. She works both individually and collaboratively with text journalists, generally focusing on features rather than single images or spot news. 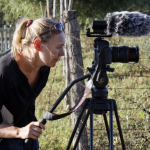 Sharron has also led photographic workshops and training for photographers and journalists in China, Pakistan, Afghanistan and Sierra Leone, Bangkok and Malaysia. Sharron is represented by two international photo agencies, Polaris Images (US) and Shoot the Earth (UK). She holds a BA (First Class Honours) degree in Photography, and an MA Degree in Photojournalism & Documentary Photography. Her work has been published in National Geographic books, Newsweek, The Guardian, Global Post, PBS NewsHour, ChinaFile, Politiken, The Wall Street Journal, The Economist, The Irish Times, Forbes, The Independent, Grazia, Ms. Magazine, Adbusters, Le Monde and The Financial Times.